Yesterday I attended a lively panel discussion on the topic of genetic privacy and patients’ rights to their genetic information, hosted by WashU’s Brown School of Social Work. Two panelists in particular — Laura Jean Bierut (Washington University) and Lainie Friedman Ross (University of Chicago) — offered strongly opposing views for and against the patient’s right to know. You can listen to them debating on St. Louis Public Radio. They and the other panelists each presented for about 10 minutes, before the panel opened up to questions from the audience. The ensuing discussions highlighted the complexity of the ethical and social issues surrounding genetic information, and made one point quite clear. Even the experts don’t agree. Last year, the American College of Medical Genetics published their recommendations concerning the return of “incidental findings” to patients who undergo whole-genome or exome sequencing in clinical settings. 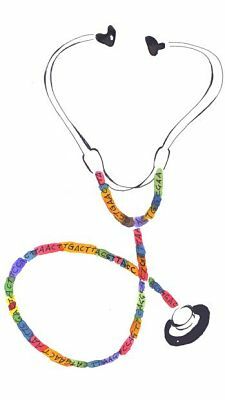 Specifically, the ACMG recommended that laboratories conducting clinical sequencing should seek and report mutations of specified classes in 56 genes. Perhaps most importantly, the ACMG recommends that mutations in these genes should be reported “regardless of the indication for which the clinical sequencing was ordered.” In other words, clinical sequencing may uncover secondary predispositions that are unrelated to the reason that you underwent sequencing in the first place. With the exception of BRCA1/BRCA2, these are mostly genes associated with life-threatening diseases that could occur at almost any age. Thus, clinical intervention may improve the patient’s quality of life and overall health. The right not to know. Many patients and family members are interested in getting information. But not all. Some prefer not to know about their genetic susceptibilities, especially the damning ones: the diseases without a cure. Genetic uncertainty. Some mutations in some genes have good predictive power. Many do not. There can and almost certainly will be cases of false alarm, and cases of inappropriate reassurance. Health care system burden. If everyone had access to their 23andMe “risk profile” there would be a surge in demand for all kinds of tests, as people freak out about what diseases they might have. Most of these tests would be unnecessary, and create a significant burden on the health care system. Lack of counseling. There simply are not enough clinicians and genetic counselors to meet our capacity for delivering sequenced genomes. Some worry about people getting this kind of information without the support of these qualified professionals. Lifesaving information. There is a real possibility that genetic findings — even secondary ones — could reveal an as-yet-unseen condition for which medical intervention is possible. As a parent, I feel that if I could get such information about my children, I’d want it. Right to know. It could be argued that people have a fundamental right to information about their own genome’s content, the good and the bad. Or, looking at it another way, it does not seem the place of clinicians or genetics labs to withhold information that they uncover. Human resilience. Let’s agree that a lot of the secondary findings, especially for the ACMG’s list, are bad news. Does that have a long-term effect? There was a study of people with family history of Alzheimer’s who decided to learn their APOE status (two copies of the APOE*4 alleles increase disease risk about 12-fold). The people who got bad news did show some stress and depression, yes. But within 5 years they’d all returned to baseline. The role of clinicians. It’s the physician’s job to tell his patients things that they may not want to hear — that they’re overweight, need to cut out sodium, should be sleeping 8 hours a night. Genetic information, too, might fall into this category. For most diseases, an individual’s risk arises from a combination of genes, environment, age, and other factors. Even for genes whose role in highly penetrant monogenic disorders has been well established, sequencing will reveal many variants of unknown significance. Our current ability to predict pathogenicity of such variants is not very good. What does that mean for a patient with two variants in a recessive disease gene? In a high-profile examination of a sequenced genome (publicly available), the individual was homozygous for likely-pathogenic variants in two disease genes. Both were devastating, crippling diseases. It seems like that individual would be severely affected. You know whose genome it was? Dr. James Watson, the Nobel laureate and co-discoverer of DNA’s structure. This simply a vignette, but it does illustrate something that people in our field tend to accept: there’s a limit to the predictive power of genetics. Of course, I had my personal genetic testing done by 23andMe, and I’m in favor of that kind of access. But then again, I’m rather biased. What are your thoughts on genetic right to know?